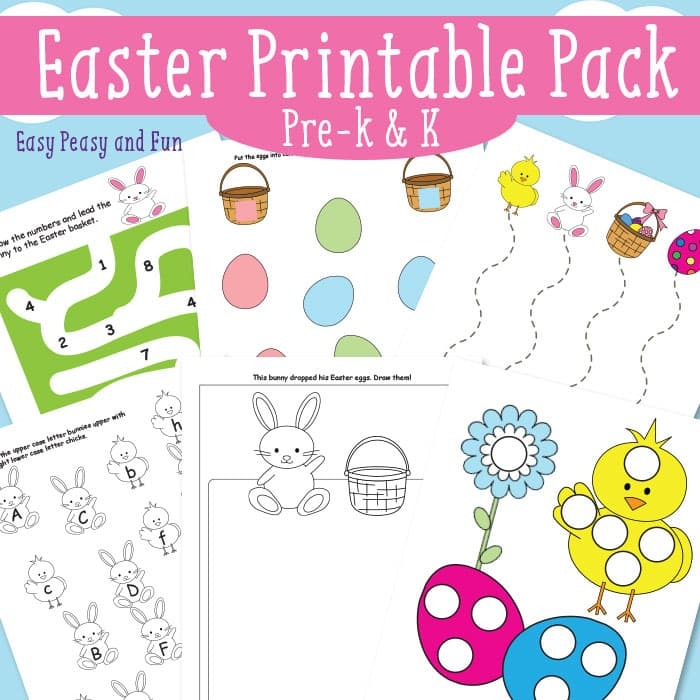 As Easter is near we’re going to have some learning fun with these Easter printables for kids which are perfect for preschool and kindergarten! 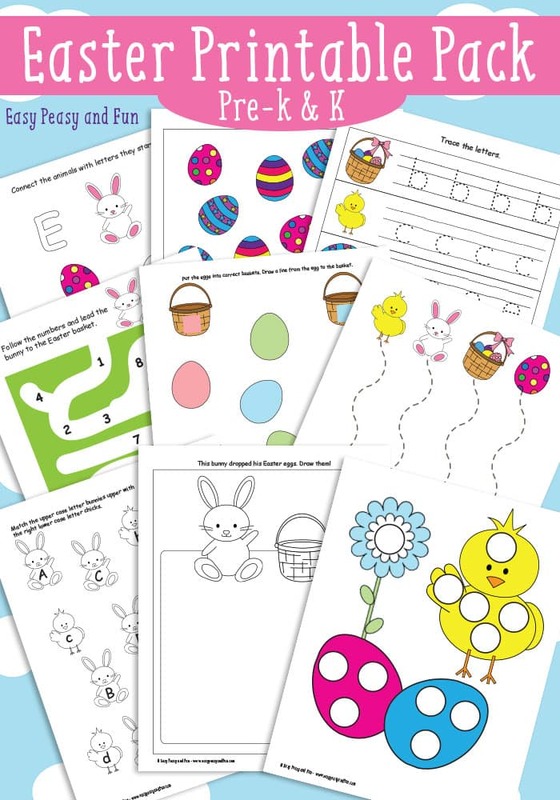 Your kids will be solving a maze, tracing letters, coloring, counting and drawing and you can also expand this pack with these adorable Easter counting coloring pages! 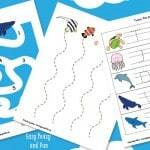 This pack has 10 pages with various activities that will keep the kids engaged for a while. My favorite of all is the number tractor maze – super easy to solve and kids can follow the number from 1 to 9 to help them. So what’s in the pack? 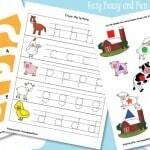 – one page where kids have to match the Easter themed objects with letters they begin with. – one page with letter tracing. – one page with a simple maze to solve. 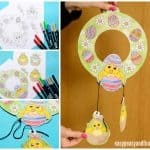 – one page where kids have to connect the eggs with correct baskets – sort them by colors. – upper and lower case letter matching (connecting bunnies with chickens). 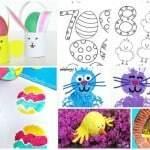 – a page where kids are required to draw Easter eggs which were dropped by the bunny. – and a do a dot page. 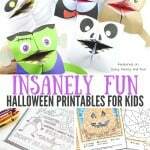 Tons of fun activities to keep them busy for a while!